¡More than challenging and funny sport…! 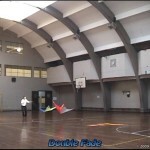 Did you remember my first article about MKF Windless for two dual line kites? I really recommend re-reading my previous article about this subject. Double belly launch or Double Fade. I´ll really recommend using dyneema 90 lbs of 3.50 and 3.00 meters length lines, per each kite. 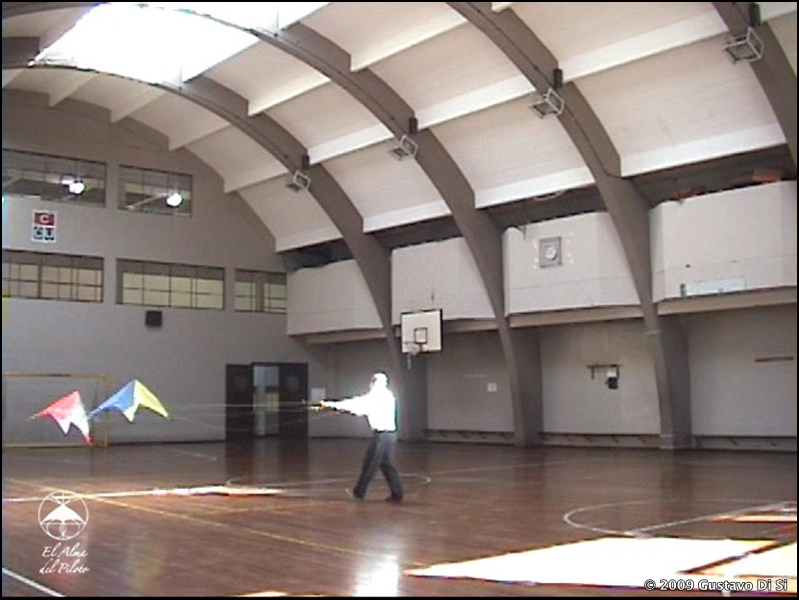 In order to get the best control and inertia, I place two or three grams ballast at the end of the spine, per kite (for Slender Kites by Barriletes Alar). Similar to my classic MKF handles, just only a few lightness. You have to tune the kites adjusting its bridles. The left kite slower (leader) and the right kite faster (Follower). That is going to be useful when you are going to do a Refuelling. 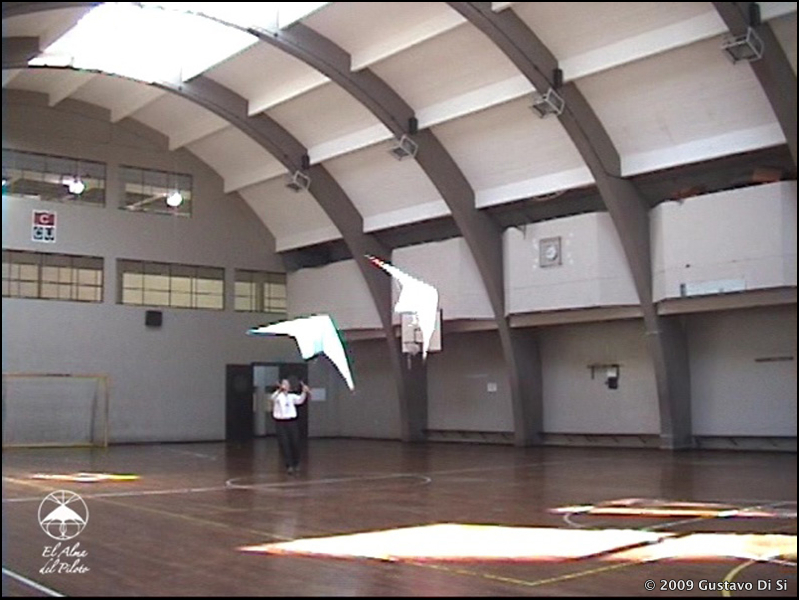 Remain the kites on the arena and take both handles, to takeoff. 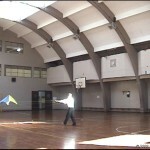 In order to generate enough relative wind walking backwards and launch both kites at the same time (have a look pictures below). 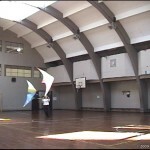 Afterward turn your hands to the left and fly 360º. 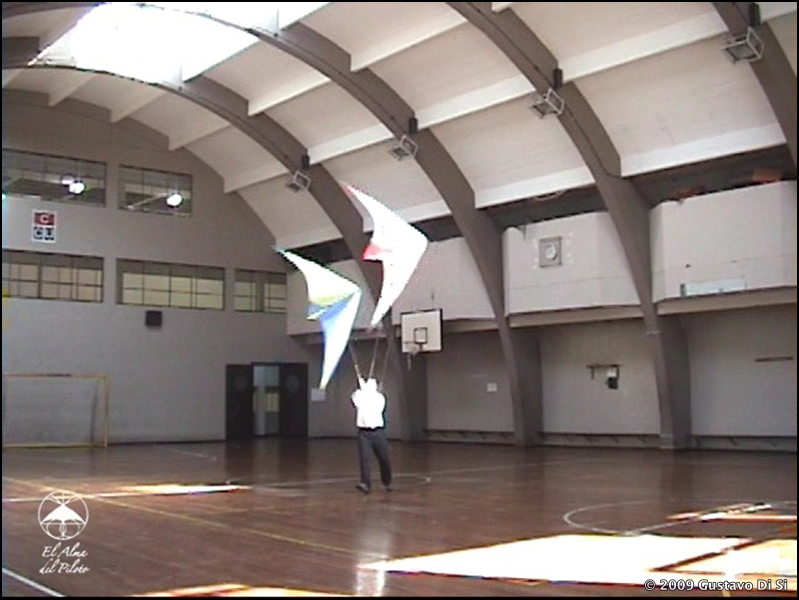 Keeps the follower kite´s nose; pointing to the trailing edge to the leader. In Refuelling the two are flying forward together without stacking, one to each other. To do it, we have to increase the speed walking or running. Doing that, you can see that the follower kite is approaching to the leader. 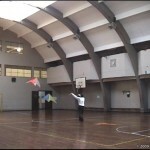 At that time we have to keep the speed moving achieving that the kites fly together. In order to do other interesting tricks, we need to undock the kites. Are you ready to try undocking? 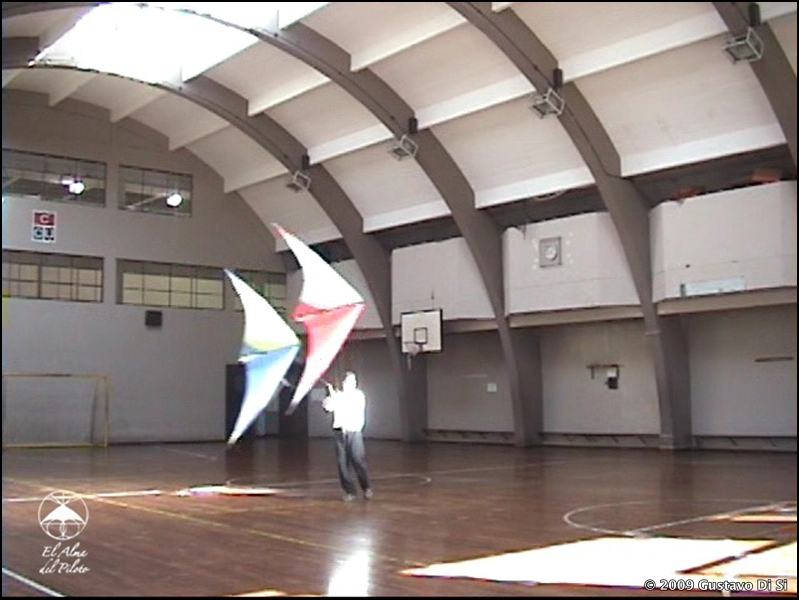 Slowed our pace and at the same time bring the right arm wich are driving the right kite to your chest, just only a few centemeters. 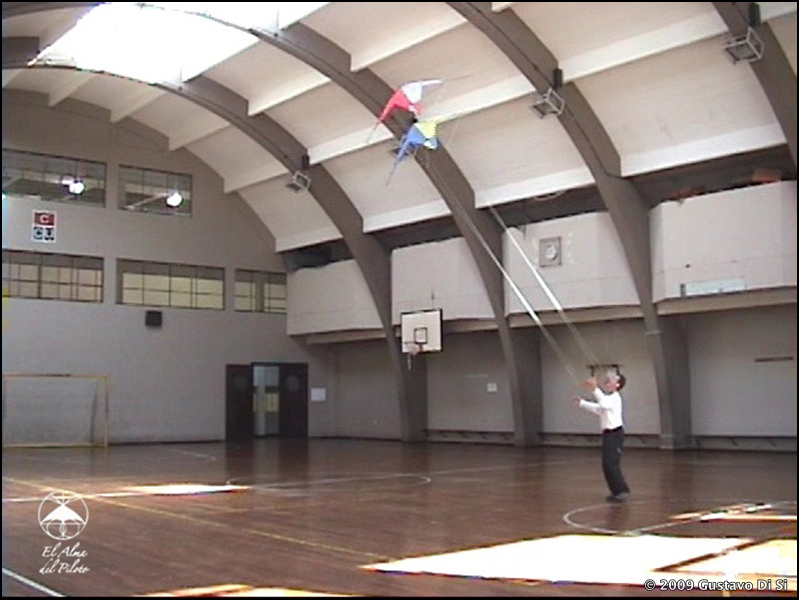 Immediately pop out quickly doing that kite stop for one second. You will see that the follower split of the leader. Great, Undocking! ¡Watch out! You do not have to stop moving, because you are flying Windless. Do not forget that practicing is the best way to find the right speed to Refuel and undocking kites. Hey! Pilots, Are you ready to fly and fly and fly and fly? Good, come on! 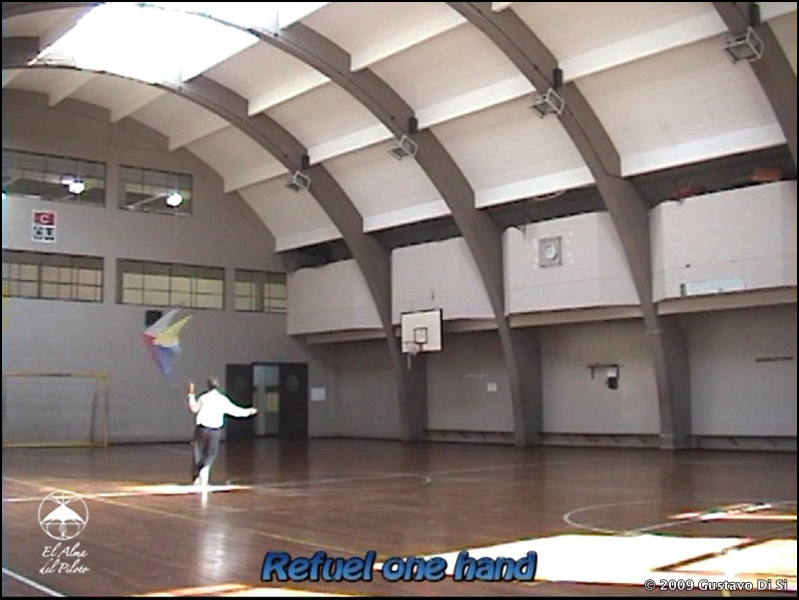 First step, put your kites in Refuel, like the description above. 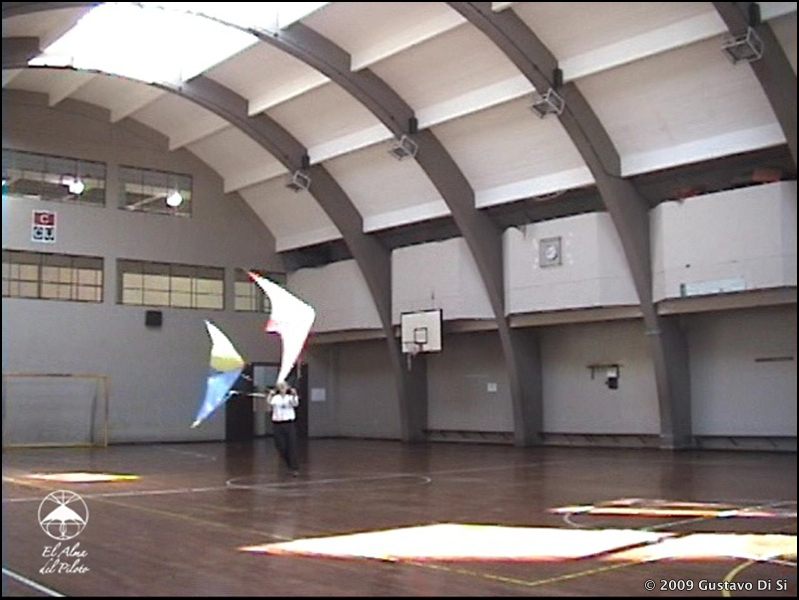 Afterwards take the handles one hand and fly both kites in Refuel. With practicing you have to try to do it mixing both hands. Also you can change the fly trajectory on one hand as follows. Now we are going to do Double Belly Launch Windless. Put the kites pointing the noses down away, opposite from the pilot position. Take both handles with your hands and extend the lines tight. Remember that we have different from length lines. 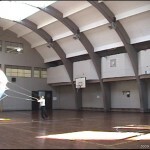 Both kites have to release in parallel´s wings position. 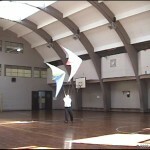 (I mean both leading edges kites in parallel position – see the pictures bellow). 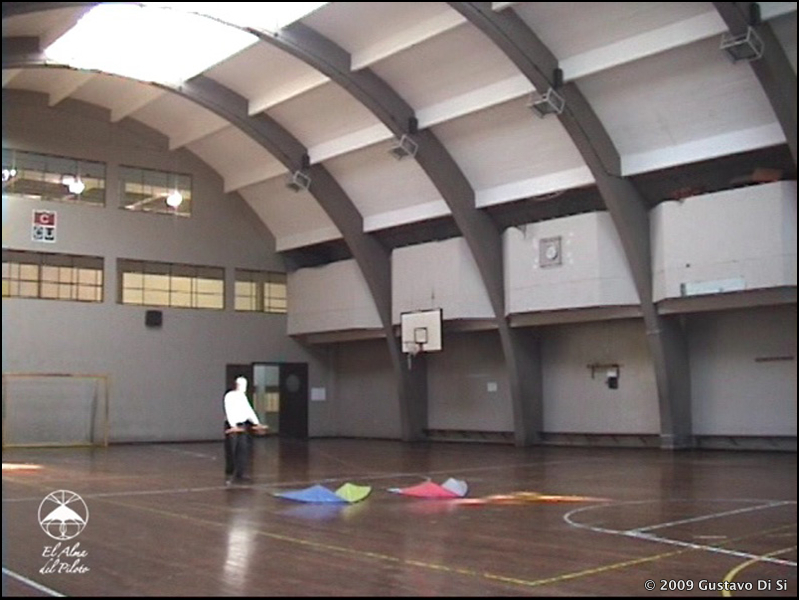 Afterwards walking backwards, sliding the kites on ground. Then increase the speed walking and pop both handles at the same time. (Pancake). 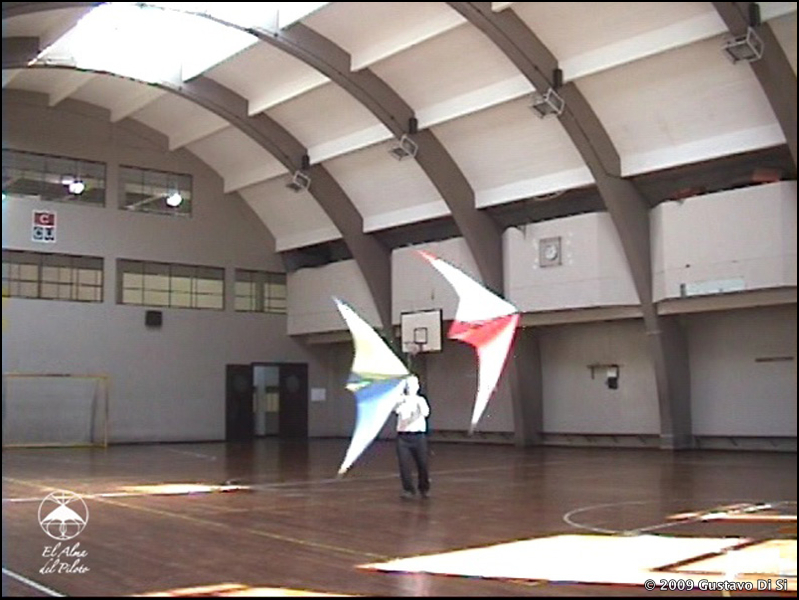 After that the kite takes off, so the noses are pointing towards you. Extend the lines over the leading edge leaving the kites floating in that position. Increase the speed walking in order to gain fly height. Voila, Double Belly Launch to Double Fade. ¡Great! Well is time to land our kites…Have a look those pictures! 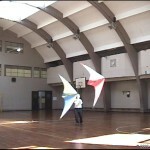 My friend kite-mates, I hope that this article it will be useful and challenging. Author Note: The author does not assume any type of responsibility in the application of this training method; by damages in the materials of flight equipment or those can be caused by pilots during trainees, competitions or recreations flying. 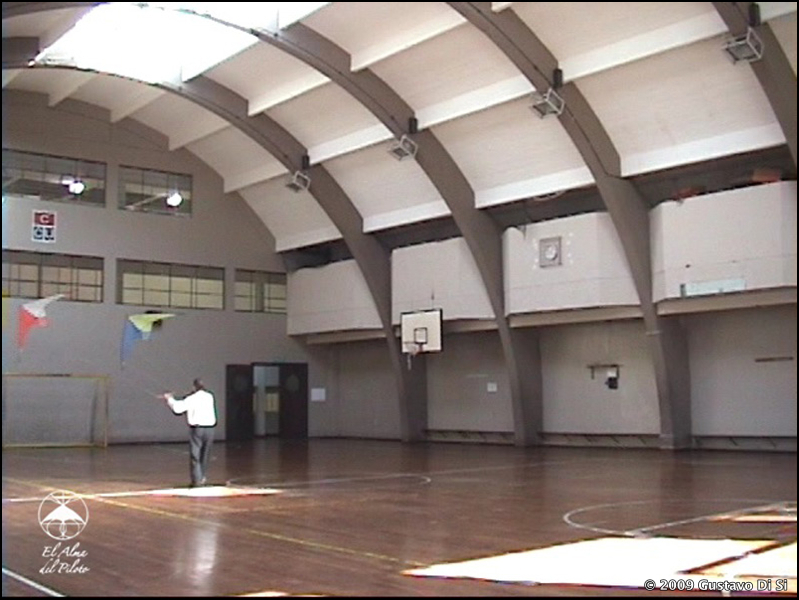 This entry was posted in 2009, General Topics, Indoor Kiting, Issue 66 (May/Jun), KL Archive and tagged indoor, multiple kites.